Jonathan Pascual is one of the Boston area’s most acclaimed flamenco guitarists. On paper at least, they don’t seem to share much in common. Jonathan “Juanito” Pascual is one of Boston’s most acclaimed flamenco guitarists with an impeccable ear for fusion. Julian Lage honed his chops at Berklee College of Music and upon graduation became a rising star in jazz circles, noted for his purity of tone and technique. Lage on the phone from New York City, where he moved about two years ago, and Pascual calling from his home in Belmont. Ahead of a joint performance they’ll give on Saturday at Somerville Theatre, Lage and Pascual reflected on their trajectories and just how similar they’ve been. You can sense Lage, who’s soft-spoken and measured in his speech, practically blush on the other end of the phone. For his part, he admits he has a lot to learn about Pascual’s music. He’s never played flamenco, and for good reason. “That takes a lot of courage,” Lage says, sounding daunted by the prospect. “I bet you could if you set your mind to it,” Pascual assures him. At least that’s what happened to Pascual, a Minneapolis native who spent time in Spain before arriving in Boston to study at the New England Conservatory. Saturday’s concert will mark the debut of his latest band, the Juanito Pascual New Flamenco Trio, which features bassist Brad Barrett and percussionist Tupac Mantilla. They’ll be previewing material from their forthcoming debut. For Lage’s set, which will feature songs from his latest album, last year’s “Gladwell,” he’ll also be joined by Mantilla, along with cellist Aristides Rivas, bassist Jorge Roeder, and saxophonist Dan Blake. By the time Pascual was in high school, he was on a parallel path between jazz and flamenco. 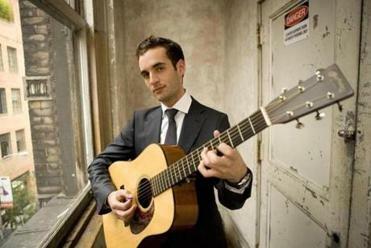 Jazz guitarist Julian Lage honed his chops at Berklee College of Music. Pascual and Lage both talk about the importance of fusing their influences into a sound that’s their own. Speaking of melding different styles, will Lage and Pascual collaborate at the Somerville Theatre?